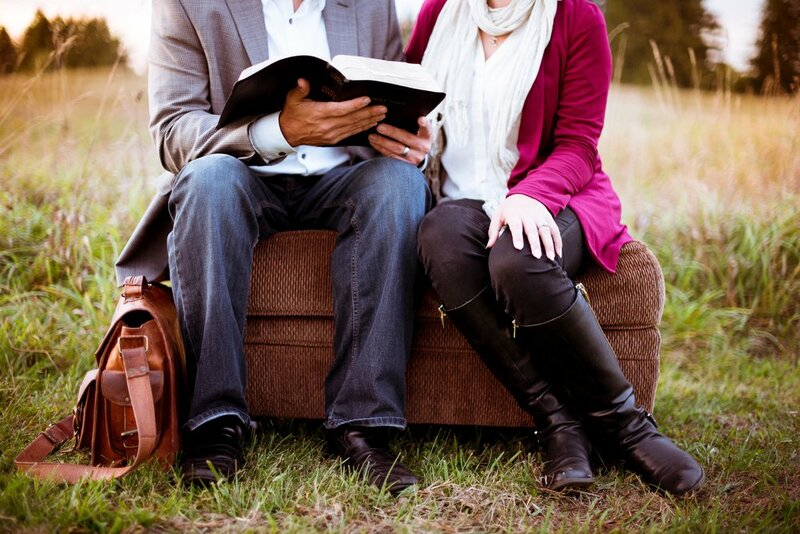 You and your spouse need to be growing spiritually. And while you are not ultimately responsible for your husband’s or wife’s growth, you can help or hinder that growth in significant ways. Encourage each other into settings where you can grow in your relationship with Christ: Bible studies, prayer groups, accountability groups, conferences. And then do what you can—such as providing child care—to allow your spouse to take advantage of these opportunities. Encourage personal time in prayer and Bible study. Each of you should study the Bible daily for yourself. You can double your insight by sharing what you learn with your spouse. You may both want to use something like The One Year Bible (Tyndale House), which divides the Bible into 365 daily readings. When you’re each reading the same passage each day, you can talk about what you learned from it. Encourage participation in fellowship and worship. Weekly involvement with a body of believers is what Christian community is all about. You and your spouse need to have regular contact with people whom you can know and who can know you. Encourage expression of spiritual gifts. Every believer has unique spiritual gifts to be used for the kingdom of God. Encourage the gifts you see in your spouse and encourage him/her to use them. Whatever ways you find to build spiritual intimacy, don’t ever stop doing them. One of the greatest gifts you can give your lifelong partner is a lifelong commitment to spiritual growth. But don’t put off getting started.